It doesn’t snow very often in Tokyo, so when it does it usually causes havoc! 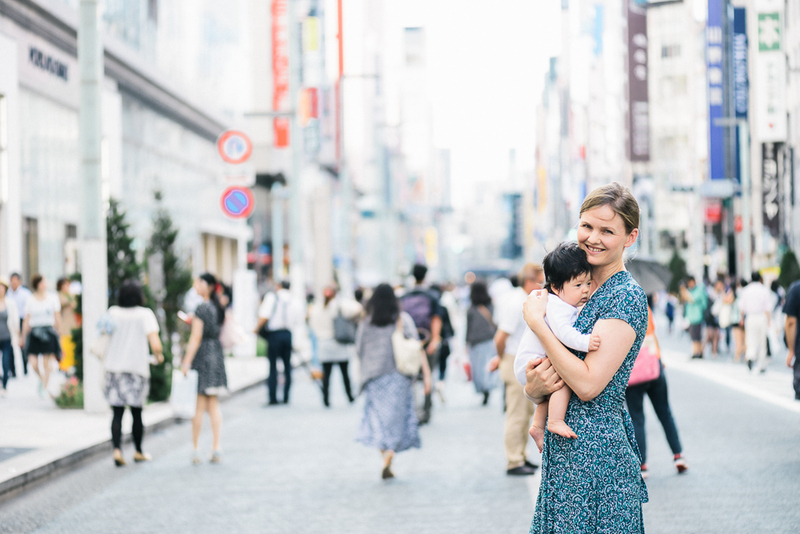 It was a blizzard in Tokyo last week, which reminded me to share my tips with you so that you can be prepared and enjoy your time in Tokyo without being too disrupted by the snowy weather. If you are heading up to Hokkaido or one of the ski fields before or after Tokyo, then you will have a big advantage as you will most likely have your ski wear in your suitcase! 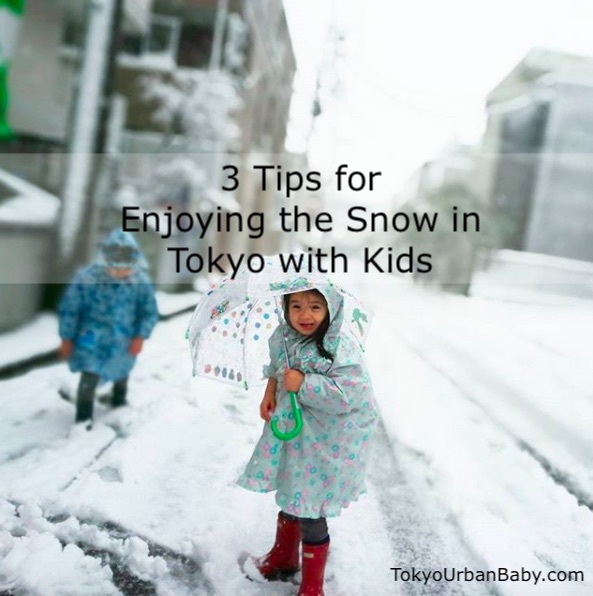 🙂 But if you are only visiting Tokyo then here are some tips to help you survive an unexpected snowfall in the city. Travelers as well as foreigners living in Tokyo are often surprised when they suddenly hear it will snow, as nobody had told them! When you visit Japan, it is quite common to be so swept up in all the excitement that you may forget to keep an eye on the weather forecast. 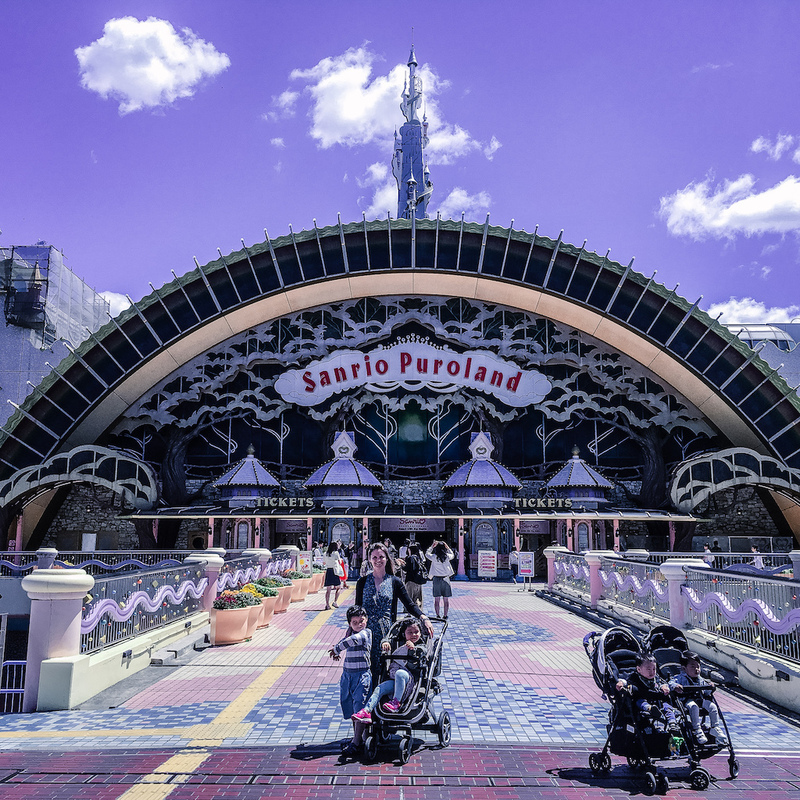 I personally check Yahoo Japan weather channel every morning, which is in Japanese but it is easy to understand with the pictures and the huge benefit is that it is usually very accurate and detailed. 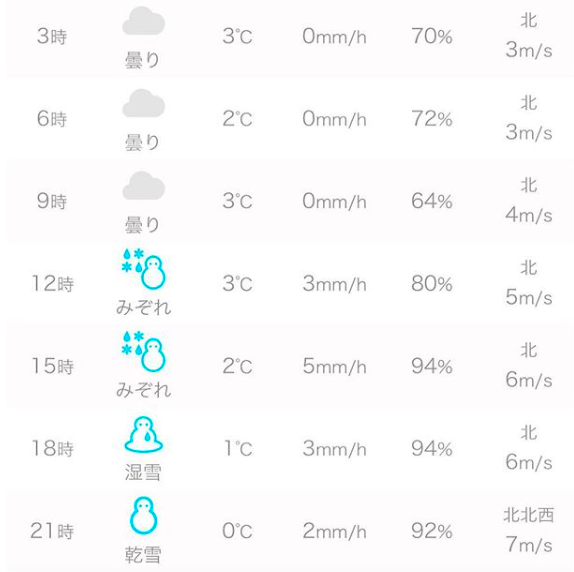 See the picture below which showed the times of the day that it will snow. If you are planning to do some sightseeing or an outdoor activity on the day (or the day after) it is forecast to snow, I highly recommend to reschedule your itinerary! The reason is that heavy snow in Tokyo usually disrupts the train lines so everything is delayed or even at a standstill. It is also very slippery on the paths and can be dangerous to walk with a baby or your children, so I really recommend to take it easy and avoid train travel. 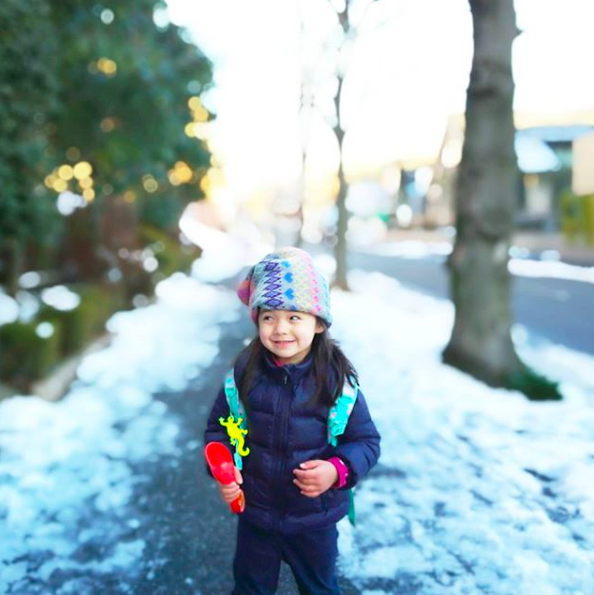 Snow in Tokyo quickly becomes slushy and wet! The snow usually doesn’t last long, so it melts and becomes very wet and there are puddles of water (and ice) everywhere. 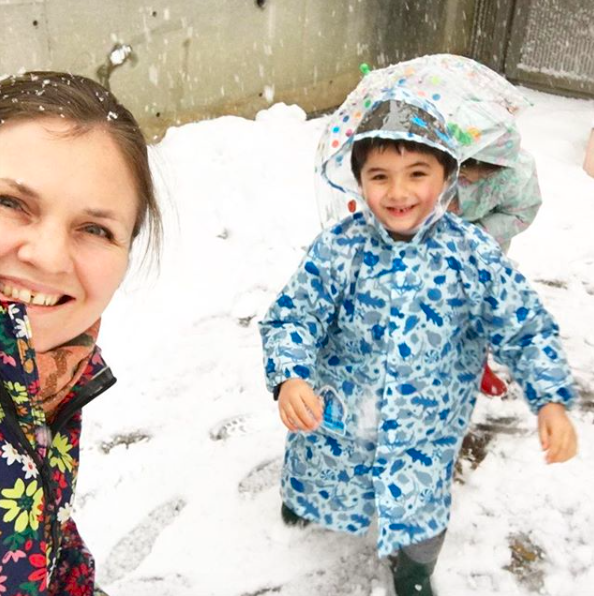 If you have children, they will likely want to run around in the snow which will result in wet socks (and wet bottoms if they fall over) and freezing little children >< Even if you are only here in Tokyo for a short time, I highly recommend to buy some rain boots and a rain coat! 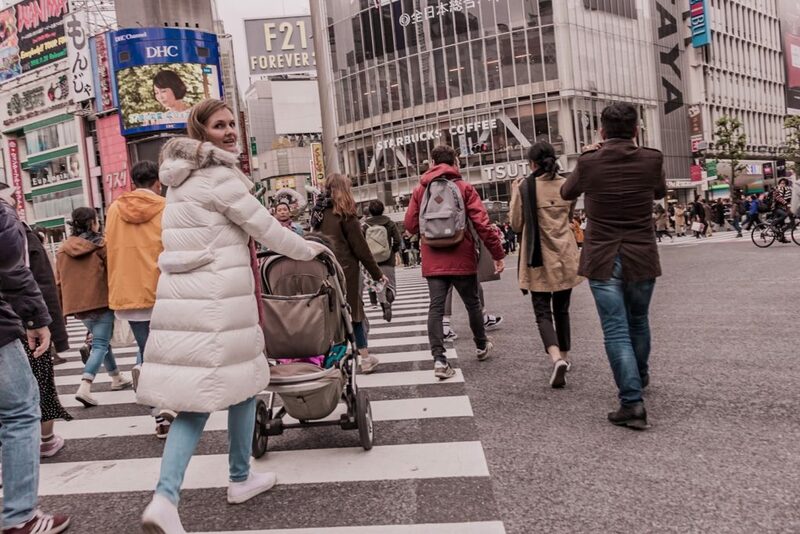 It is actually a great excuse to buy cute Japanese matching raincoats and gum boots 🙂 There are so many colorful and cute patterns, and they are not expensive. For cheap gum boots, I recommend the ABC Mart shoe shop. 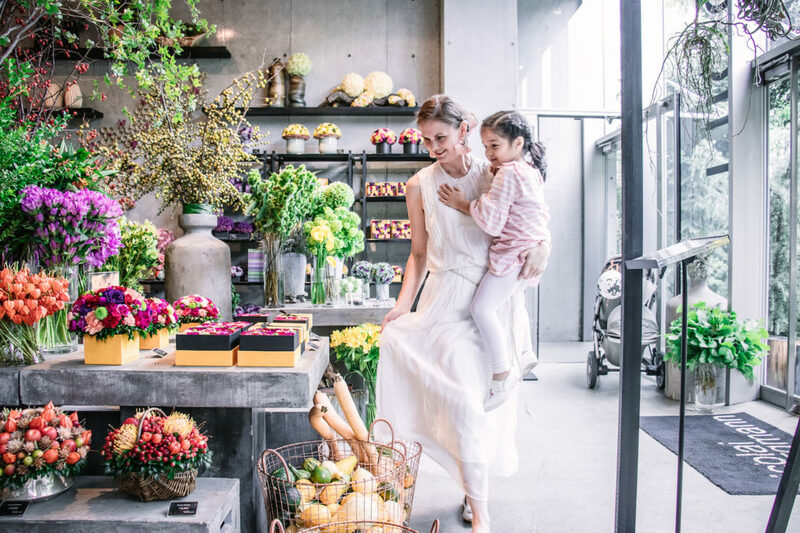 For kids rain coats, check my list of baby shops in my guide! 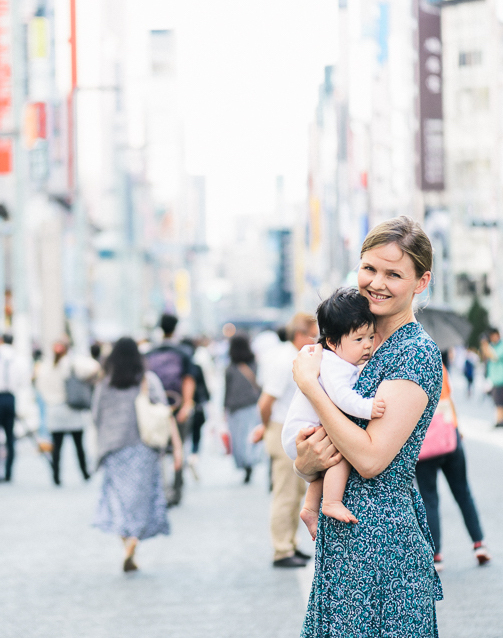 Hope these tips help and have a wonderful time in Tokyo! This photo shows the snowfall after just a few hours of blizzard afternoon weather in Tokyo in January 2018. Make sure you check the weather report! I use Yahoo Japan which is usually pretty accurate and has the details for every few hours. Very handy when trying to plan your day with kids in tow! I was prepared with raincoats, boots and umbrella, but I forgot the snow gloves! My kids rarely see snow so of course they wanted to play snow fights and had freezing little fingers very quickly. This photo shows the morning after the blizzard in Tokyo. 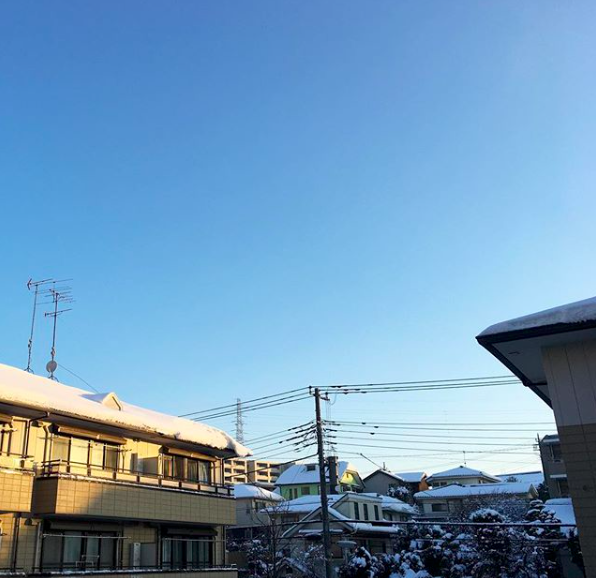 Blue skies, and all the roofs of the Japanese houses were covered in about 20cm of snow. Beautiful! Here is my daughter playing in the snow a couple of days after the blizzard. You can see the snow is still on the paths in the residential areas. Lots of fun for the kids to play!